Recipero ClaimsCheck | Identify and mitigate the cost of fraudulent mobile device insurance claims. Stop insurance fraud at the point of claim. Prevent devices with settled claims from being traded. Fight insurance fraud with real-time device intelligence at point of claim and simple intelligence sharing with service providers, police, traders and other insurers. Protect yourself after settling claims from the devices you now own from being sold without your permission. 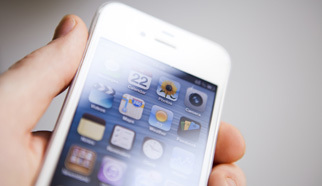 Fraudulent insurance claims over mobile devices is big business and lucrative for criminals. At the point of claim you need to ensure that the status of a device is consistent with the claimant’s story. If the claimant says their cellphone has been stolen, you need to verify that it has been barred by their service provider – that’s what honest claimants do, and why wouldn’t they? Is the serial number provided actually for the type of device being claimed? Has the device already been sold (possibly by the claimant)? Has another insurer got an interest? These are all crucial questions to ask at the point of claim and it is essential for you to be better informed than the criminal if you are to detect fraud. How does ClaimsCheck know about Trading activity? ClaimsCheck has access to Recipero’s Crime Reduction Ecosystem. Part of this system is a footprint of thousands of traders who use our services to avoid buying property at physical outlets. Online partners and tens of thousands of individual buyers from auction and classified listings sites also alert us to trade activity. Remember, when you have settled a claim, that property is yours. You may not want to recover it but you certainly want to know if the claimant is the person selling it and ClaimsCheck opens that information flow to you. ClaimsCheck can be delivered via a web interface or more commonly through integration with claim handling systems where it can be tailored for specific uses and environments. Be better informed than the criminals. Benefit from trading community and police intelligence. Pro-active monitoring spots fraud patterns post claim. Securely match relevant data with other insurers. Prevent trade of devices associated with settled claims. Using ClaimsCheck flags your interest in a device to traders and also alerts you of linked trader activity. Recipero collect data from a myriad of sources including consumers, retailers, insurers, industry bodies, police and mobile phone service providers, all of which contribute to the Recipero crime reduction ecosystem. Updated continuously Recipero is renowned for providing the most comprehensive and current data resource of its kind. Contact us to arrange a no cost, no obligation analysis of historic claims. Simply provide serial numbers and claim date we’ll show you how ClaimsCheck saves money and improves fraud detection.